Our team of endodontists uses endodontic microscopes. 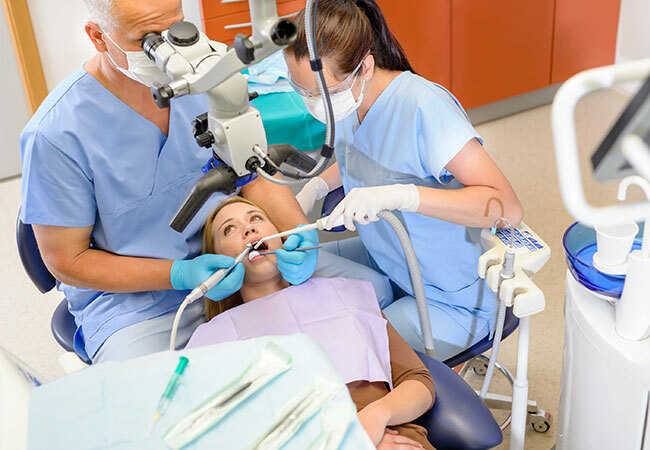 Endodontic procedures that were otherwise impossible to treat have become routine with the use of microscopes, which provide higher levels of magnification and illumination. The use of microscopes in endodontics has dramatically improved the specialty, allowing for consistently excellent results.